“Mr. Miliband is entitled to his views, which are clearly his own and are evolving. India is a free country and, even if we do not share his views, he is free to express them. However, we do not need unsolicited advice on internal issues in India like J&K." New Delhi: It is unusual for the government to publicly criticise the views of a foreign dignitary on an official visit, especially before his trip to India is over. So when Ministry of External Affairs spokesman Vishnu Prakash issued a tartly worded statement on Thursday in response to a question about “certain views expressed by British Foreign Secretary David Miliband,” diplomatic eyebrows immediately went up. The assumption was that India was responding to the views expressed by Mr. Miliband in an op-ed in The Guardian or in his joint press conference with External Affairs Minister Pranab Mukherjee. 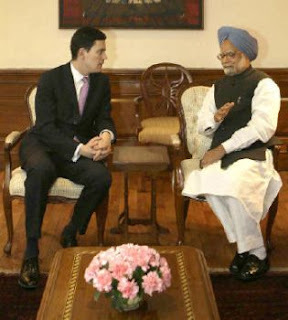 Senior officials told The Hindu on Friday the MEA statement was really the product of the irritation India felt with Mr. Miliband for the “aggressive” manner in which he conducted himself in his closed-door meetings with Mr. Mukherjee and Prime Minister Manmohan Singh. In particular, South Block took offence to his strident arguments that the Mumbai terror attacks were really the result of the Kashmir issue remaining unresolved. Mr. Miliband, they said, was also clearly unaware of all that India and Pakistan had done on the Kashmir front from cross-LoC trade to discussing ‘soft borders’ before terror attacks like Mumbai slowed down and brought the process to a halt. Mr. Miliband also annoyed the Indian side by warning the two leaders that Delhi should not even think of taking any kind of military action against Pakistan in the wake of the Mumbai attacks. What surprised the Government all the more was that British Prime Minister Gordon Brown had been “quite positive” on the issues which concerned India during his visit to New Delhi last month. As Arun Jaitely rightly said, Milliband's visit was a diplomatic disaster! Miliband knew that he was dealing with two spineless, politicians of the Indian Congress party, that ruled India for the most part. GOD save India from these incompetent politicians. If Jashwant Singh of BJP was in place of this dhoti-clad Mukherjee, the complexion of the Miliband meeting would be entirely different ! Miliband should be thanked for the wisdom he has bestowed upon us . So terrorists attacked us because of the Kashmir issue . So why did the attack the countries like Britan and US . If he wants to say that LET and Al-qaeda are two Monolithic organizations which has nothing to do with each other and LET attacked India because of the Kashmir issue and Al-Qaeda for different reason the Young man should be directly taken to the dinner table ,feed him with good Indian food , ask him to enjoy Tajmahal and PM excuse himself from the Wizard . Worldwide Zionist conspiracy in full press mode. India getting into bed w/ Israel will only result in more hectoring from the "choosen ones". The Zionist empire begins in London as the UK is a Rothschild controlled puppet state. They managed to take over the power in France also. Viewpoints from a national perspective don't tell the real story. You have to look at the shadow government. Its not the UK; its the NWO - Zionist drive to rule the world. Whether we like it or not - What he said is a half truth. The major reasons for terrorism to flourish in India is 1. Kashmir 2. Growing intolerance towards minorities and incidents like Godhra. It may take time to understand what he said but i feel he is right. But what he doesn't know is that solution to Kashmir is one of the toughest almost equivalent to ask the Jews to get out of Israel. Will he dare to give that advice to Israel ?